Although higher education professors and instructors are increasingly embracing and implementing social media in the classroom, many public K-12 teachers have been highly averse to employing social media in the classroom. K-12 teachers understand they are responsible for ensuring student safety. Many teachers contend it’s too difficult to monitor all activities that transpire on various social media platforms, and they see the inability to supervise all activities that can occur via social media as creating numerous potential safety risks. It can be quite challenging to explain to administrators and parents why the use of social media in the classroom is worth potential safety risks. If something undesirable happens involving one or more students using social media as part of instructional activities, then many administrators and parents will pose serious questions about whether teachers had the best interests of students in mind during instructional planning. Many public K-12 teachers fear the probing scrutiny that may be involved when they use social media in the classroom. Higher education professors and instructors face little to no legal liabilities when incorporating social media into the classroom, however. Their students are adults and they are, therefore, legally released from most institutional and legal liabilities associated with potential problems with the use of social media in the classroom. K-12 public school teachers are dealing with minors and have to ensure they guard themselves from legal and institutional liabilities associated with the use of social media. Many K-12 public school administrators see little to no value in the use of social media in the classroom and they discourage or forbid teachers from incorporating social media into instructional activities. For K-12 school administrators to gain a greater understanding of the value of using social media in the classroom, scholars and teachers who understand the power of using social media in the classroom must do a better job of arming them with research that evinces the true worth of social media in the classroom. These individuals will need to work to dispel many of the frightening myths about social media that have been promulgated in multifarious media venues. Teacher education programs should train new teachers on how to incorporate social media into the classroom and establish best practices for implementing social media in the classroom. When more teacher education programs make training in social media a part of their curriculums, it will help to buttress the perception among more public K-12 administrators that the use of social media in the classroom is a “professional” pedagogical practice. To be fair to those K-12 administrators who discourage or prohibit teachers from employing social media in the classroom, many teachers who use or have a desire to use social media in the classroom do not have a strong sense of how to use social media in a way that promotes high academic achievement. Numerous teachers see incorporating social media in the classroom as enabling them to advance higher student engagement, considering social media is wildly popular with young people across the nation and globe. While elevated student engagement is important, teachers need to know that the specific way(s) they implement social media is effective in leading to expected student learning outcomes. Higher education professors and instructors have greater flexibility to experiment with social media in the classroom than K-12 public school educators. If things do not work well with their use of social media, higher education professors and instructors face little to no serious consequences. Unfortunately, public K-12 teachers do not enjoy the same liberties. If things do not work well in the classroom with their use of social media, they can receive backlash from students, parents, administrators and the community. In short, public K-12 teachers have to weigh the risks and rewards in using social media in the classroom. Many of them contend that the risks outweigh the rewards. Higher education professors and instructors do not have to devote much attention to the risks of social media in the classroom, so they are experiencing how social media in the classroom has the potential transform the way in which we think about classroom instruction. The Revolutionary Paideia April 2011 Person of the Month: Stephen C. Newbold, Jr.
Each month, one person is honored here at Revolutionary Paideia who embodies the “unsettling, unnerving, and unhousing” spirit that founded this site. The person is bestowed the award of “The Revolutionary Paideia Person of the Month.” To receive this award, you must make a significant difference in people’s lives. You must be a person who matters and who’s unafraid to simply be yourself. 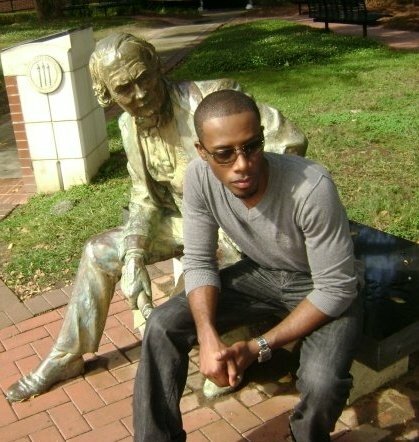 Stephen C. Newbold, Jr. has been selected as The Revolutionary Paideia April 2011 Person of the Month. At Revolutionary Paideia, it’s argued that people who are making a difference are not always the people we see and hear about in national media. 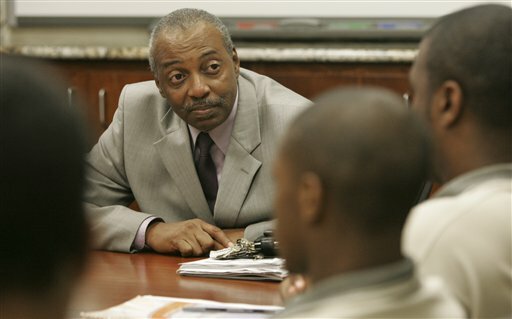 Stephen C. Newbold, Jr. is one of those individuals making a significant difference in the lives of children, but his great work goes without a moment of national notoriety. Mr. Newbold is not looking for notoriety either. He has a deep passion for education, children, and the arts that goes beyond any vain longings for national attention. While Stephen C. Newbold, Jr. knew that he would be featured on Revolutionary Paideia, he did not know that he would be named Person of the Month. I normally don’t contact the people who are going to be named Person of the Month, but I wanted to do things a little different this month by interviewing the awardee. I’ve had the great fortune to follow Stephen’s work for several years now, and I’m fascinated by the quality and imaginative artwork he produces, his passion for teaching, and love of children, especially his love of disadvantaged children. I was tremendously proud to see that a couple of Mr. Newbold’s students recently came in first place for a digital photography contest. You could see how his creative influence and zeal for the arts resonated and shined through the vivid, beautiful, and well-executed images they captured. The images captured tell stories of their own. 1. Where did you receive your undergraduate degrees and in what degree programs? I received a Bachelor of Arts degree in Political Science in 2005 from Florida International University. I also resumed my studies and completed a second Bachelor of Arts in the History and Criticism of Art at The Florida State University, which is the school I started my undergraduate career in 2001 and later transferred. 2. 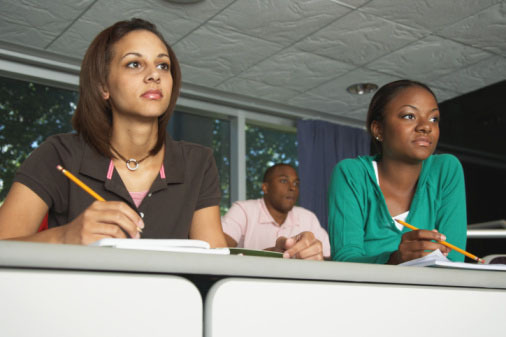 In what city do you teach and what grade level(s)? I current teach Integrated Art to Pre-K – 6th grade students in Prince George’s County, Maryland, which is located in the DC Metropolitan area. 3. Why did you decide to pursue a career in Education? After completing undergrad in 2006, I was faced with the decision of extending my education or entering the workforce in order to support myself. 4. What are your greatest challenges as an educator? As an educator in the inner city for at-risk youth, it is challenging to service them when they are coming from a bad home situation. These children have a hard time understanding why math, science, history, let alone—art—is important when they didn’t eat dinner last night or there is no electricity in their homes. Another challenge is my age. I started teaching high school students at the age of 24. Some of the students assumed that I wasn’t an authority figure until I opened my mouth. 5. What are some of your successes as an educator? In my first year of teaching, I had minimal skills as an educator. I was essentially learning from experience. My majors in Political Science and Art History made me “highly qualified” to teach social sciences grades 6th – 12th. As I worked with the students, I was being educated in the field as a teacher while simultaneously being a student. In less than one school year, I received my Florida Professional Teaching certificate, which was a huge accomplishment for me. Four years later, I was certified to teach Pre-K – 12th grade students in two states. My prized accomplishment originated in my first year of teaching at Miami Northwestern Senior High School, the school in which I attended. Teaching American History to juniors was sometimes a challenge, especially when these kids didn’t turn in their homework. My students were assigned a midterm history assignment. The project was due in sections; this particular day, section one was due. Needless to say, not even one student had his or her assignment. In complete awe and disappointment, I decided enough was enough; I was taking control of this situation. I asked everyone to stand up; reluctant and a little nervous they all stood up. GET OUT! Everyone get out of my classroom. You didn’t come here to learn and you won’t waste another minute of my time, get out. I had them lined up along the lockers outside of my classroom. I explained that there is no need for us to sit in a classroom if they were not here to learn. My Principal happened to be passing by, well I doubt it was a coincidence because a surveillance camera was pointed right towards us. He gave me a look of approval, as if he was saying carry-on. I smiled on the inside; however, I was still disappointed in my kids. We stood in the hall for nearly the entire block when my students apologized and said they were ready to work. After 4 years of teaching, I think back to that moment and realized that was the day I evolved into an educator and not just some teacher. I was able to allow my students to rise up to my expectations and surpass them. 6. Why is Art education important? Art education is extremely important on the elementary level because it gives a child an opportunity to explore and problem solve. Early childhood instructors teach students to color inside the lines and to keep their area neat and clean. I, on the other hand, encourage my students to color outside of the lines and, more importantly, to create their own lines. Rules, regulations and test scores create a non-expressive environment that the arts allow a healthy escape from. 7. What community/volunteer service projects have you been involved in? I work for the K.I.D.S. After School Program, Living Classrooms of the National Capital Region in partnership with Center City Consortium, and 21st Century Community Learning Centers and DC Public Schools, an exciting after school program in Ward 7 at The Ft. Dupont Ice Arena. I teach photography to at-risk youth in South East. I give them the opportunity to view the world through a view finder and aperture. Each day includes a healthy snack, recreation time, homework and tutoring assistance, and a one-hour thematic component designed to address the Center City Consortium power standards as well as the DC Public School benchmarks. Students continue to explore subject matter and topics covered in the regular school day through hands-on exploratory methods. 8. Do you plan to return to graduate or professional school in the future? If so, do you have any specific degree programs in mind? Any specific schools in mind? I have been looking into some master’s degree programs in the DC Metropolitan area, but my ultimate goal is to attend law school. It seems like I’ve been putting it off because Education is my calling but it’s amazing how a person, an educator, trains children and young adults to realize their potential. However, what would become of me if I didn’t realize my own? 9. Who have been the most influential individuals in your life? There have been many people to come in and out of my life over time. The nuggets of influence retained range from a look of admiration, a laugh from a joke I made or even rejection and disappointment. All of these lessons gave me the drive to keep moving forward. My college Spanish professor once said to me, “If you have a problem that you can solve….why worry and if you have a problem you can’t solve……why worry?” So simple, yet profound. I’ve been moving through this life solving what I can and accepting things out of my control. 10. Is there anything that you would like to add that the aforementioned queries have not allowed you to say? In collaboration with my students, I created an anti-bullying video and a life-size book cover illustration this school year. I have a photography and graphic arts business called NEW-Bold Imaging. My class motto is “Art is a process”—similar to my life: We have to work through our mistakes until they are transformed into masterpieces. I would like to thank Stephen C. Newbold, Jr. for taking time out of his busy schedule to engage in an interview with me. As you can see, Mr. Newbold has his hands literally and metaphorically full, so I’m truly grateful for the time he gave to me for this interview. I would like to applaud Stephen for his great work and for helping to make a tremendous difference in the lives of disadvantaged students. You are truly a great man! I’m such a fan of your work. You inspire me to do better in all that I do. It is with great pleasure that I name Stephen C. Newbold, Jr. The Revolutionary Paideia April 2011 Person of the Month. Keep up the very fine work!